If nothing else, Jurassic World: Fallen Kingdom finally advances the narrative of the Jurassic Park franchise beyond the usual creature feature thrills. Before the film’s halfway mark, gone is the amusement park, destroyed by lava and forcing the story in a new direction. 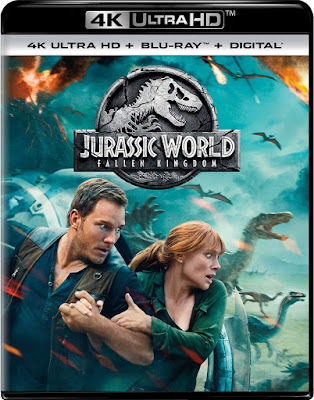 Even the revival of the franchise with Jurassic World simply felt like a derivative rehash of the original premise, but the latest sequel has added an interesting moral question to the story. While the first film utilized knowledge about cutting edge science to image the possibilities of cloning dinosaurs, it is only with the latest film that these ideas have been advanced to the next natural step. Easily the most confusing film since the original, I had no idea what was happening through much of Phantasm IV: Oblivion. It does the familiar plot structure lifted from the previous films in the franchise, which mostly features Reggie hitting on young women he meets on his journey to find/help Mike. There is creative gore and some beyond surreal sequences, with none of the coherence from the previous two films. 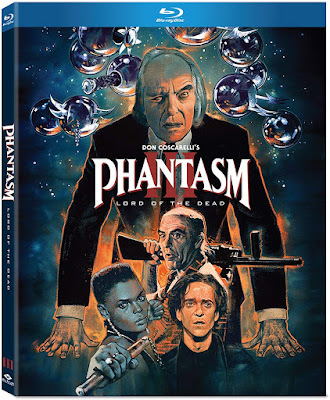 Fans of filmmaker Don Coscarelli’s bizarre world may appreciate the continuation of carnage, but most will recognize that the ideas that were once boldly original must continually be reinvented, and Phantasm IV is not always successful in this endeavor. 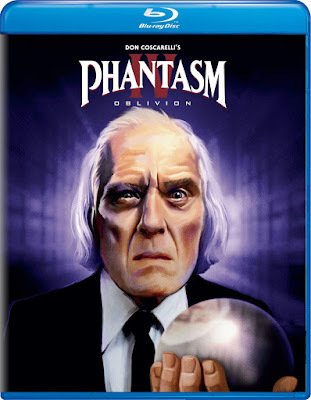 Although it may mostly just be more of the same bizarre supernatural horror as the first sequel, and in some ways it is an even more blatant attempt to recapture some of the successful elements of the first film, I tend to like Phantasm III more than any of the other sequels in the franchise. Even though they had distribution established, Phantasm III was made independently of a studio, allowing director Don Coscarelli to retain his artistic freedom once again. This meant the return of A. Michael Baldwin, as well as some of the franchise’s most graphic scenes of violence.